The Pro-Ject Essential II takes everything that was great about the Pro-Ject Essential and makes it even better! The Essential II is the latest offering from Pro-Jects affordable turntable range. Welcoming a new motor control the Essential II offers quieter running and minimises unwanted vibrations. 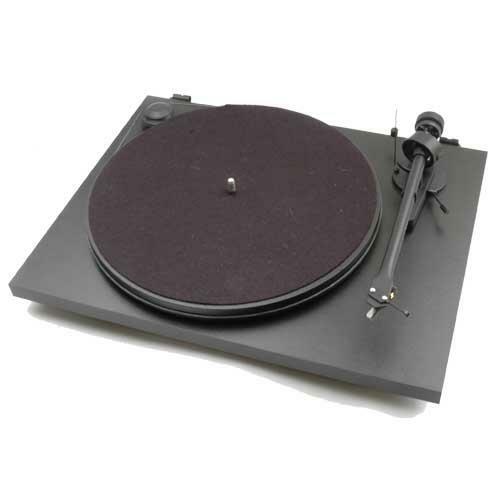 This turntable is a manual turntable that comes supplied with the same fitted cartridge as was previously found on its more expensive sibling, the RPM 1.3 Genie. This deck is the ultimate in introductory hi-fi; an 8.6” aluminium tonearm made from a single piece of aluminium combines with a sturdy plinth to make an even greater sounding and affordable turntable package.